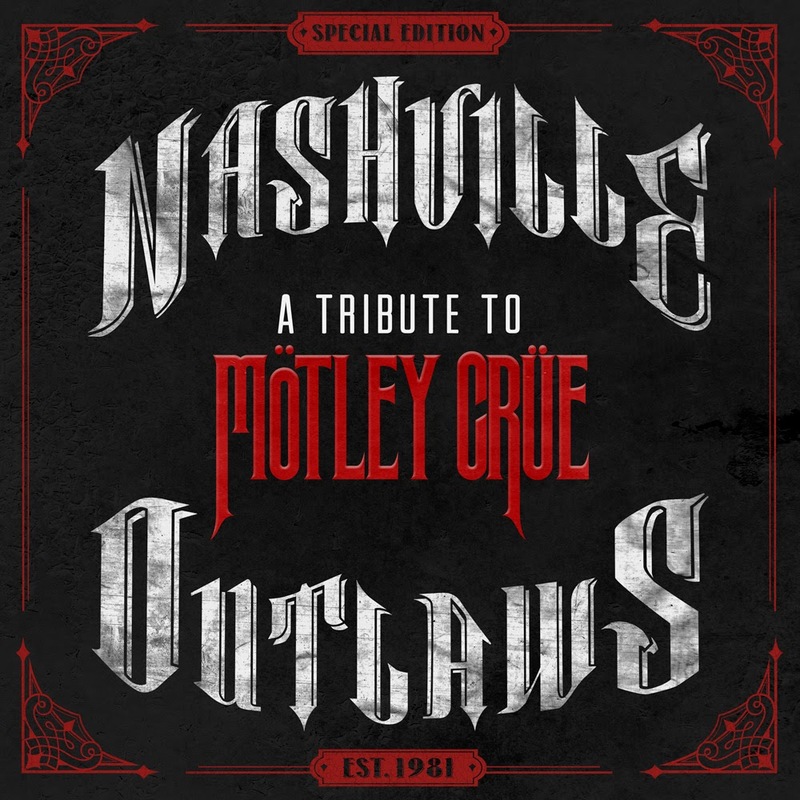 Hall of the Mountain King: Review: "Nashville Outlaws: A Tribute to Motley Crue"
First off, no matter what it’s billed as, this album is not truly a country tribute to Motley Crue. When Aaron Lewis of Staind turns in one of the most country performances, you’re in trouble. There are a lot of versions of the original Motley Crue song with Vince Neil’s vocal track replaced by an often-exaggerated hick twang. That covers the review for a large portion of the record – Brantley Gilbert’s “Girls, Girls, Girls,” Gretchen Wilson’s “Wild Side,” Eli Young’s “Don’t Go Away Mad,” Florida-Georgia Line’s god-awful “If I Die Tomorrow.” In some cases, they throw a banjo or something in there, but it’s still basically the same song. But before I dig into the depths of how bad this is, I’ll hit on the good points, and there are a few. I’m willing to give credit where it’s due, and there is one moment of pure, absolute genius on this record. That’s the Mavericks’ Latin/salsa take on “Dr. Feelgood.” It’s probably the riskiest cover here, and it works fantastically. It transports the tune from Hollywood to Miami, and gives it a whole different feel from the dark Crue original, but still fitting to the title of the song. It’s brilliant and possibly the only song from this record that will remain with me. Another high point comes from Lauren Jenkins, who I was unfamiliar with, and a very interesting take on “Looks That Kill.” Jenkins slows the song down and delivers the verse in a sultry, smoky voice. I wanted to hate it, but I just can’t. There’s something almost entrancing about it. LeAnn Rimes also provides a surprisingly good moment on “Smokin’ in the Boys Room,” which technically would be a Brownsville Station cover. Do covers of covers count in a tribute album? At any rate, Rimes puts a slinky, bluesy spin on the tune that pays homage to the original while giving it her own flavor. That pretty much sums up the positive portion of this review and this collection. Now, the biggest problem with Nashville Outlaws: A Tribute to Motley Crue: Almost no one here gets the attitude or energy of the originals. I love Motley Crue, but let’s face it, the band’s foundation is not its musical talent. The charm, if I can use that word to describe the band, of Motley Crue is in the brash, ferocious attitude that they brought to their music — and few if any of these artists seem to get that. A perfect example is the track that opens the record. You’d be hard pressed to name a less dangerous musical act in any genre than Rascal Flatts, yet they’re given one of Crue’s hardest-driving songs, “Kickstart My Heart,” to open this set. It’s the same song, but it has none of the fire or nastiness of the original. It’s a wholesome, almost Disney-ized version, and that just doesn’t work with Motley Crue. And don’t even get me started on Justin Moore’s version of “Home Sweet Home.” The song is one of only a handful of 1980s rock ballads worth listening to, and this version is just painful — and Vince Neil chiming in doesn’t help. Clare Bowen and Sam Palladio take on one of the worst songs that Crue ever put on tape in “Without You,” and somehow make it worse. It’s transformed into a saccharin sweet piece that sounds like a duet between a chipmunk and a boy band member. It rivals Moore and Florida Georgia Line for the absolute worst moment on a very bad compilation. There are a few songs that fall between the interesting and the awful. Cassadee Pope makes an interesting choice in “The Animal in Me,” one of the more forgettable numbers from Crue’s most recent album Saints of Los Angeles. It’s mostly the original song with Pope’s vocal, but she actually sings it better than Vince Neil did, and she gets an assist from Cheap Trick’s Robin Zander. The Cadillac Three puts a Southern rock spin on “Live Wire” that’s likeable in the right mood. I think it’s a version that a band like Whiskey Myers or Blackberry Smoke could have rocked the hell out of, but there seems to be a bit of tentativeness in the Cadillac Three delivery, as if they’re holding back a little instead of rocking it like they should. And then there’s Darius Rucker’s “Time for Change.” Hootie is Hootie, and if you like that sort of thing, I guess you’ll probably like it, but it’s a vanilla performance of a vanilla song. Not surprisingly, Motley Crue’s most popular album, Dr. Feelgood, is the best represented in this collection, with six of the 15 songs coming from it. The band’s best record, Shout at the Devil, is criminally underrepresented with only Jenkins’ “Looks that Kill.” But all Crue albums are included, with the exception of 1994’s self-titled project, which featured John Corabi instead of Neil, and 2000’s New Tattoo, which featured Randy Castillo in place of drummer Tommy Lee. I also have to give credit for a couple of more obscure selections by Pope with “The Animal in Me” and Lewis, who took on “Afraid” from the band’s experimental (and mostly lousy) 1997 album Generation Swine. Putting aside that most of what you hear on “country” radio these days isn’t that far removed from 1980s rock, a country tribute to Motley Crue probably wasn’t the best idea, and most of this record shows why. Country — and I mean real country, not bro country — and Motley Crue should be on opposite ends of the spectrum. They stand for completely different things: the common man and common values versus glitz and glam and sleaze. That said, I’m confident there are country artists out there who could pull off amazing versions of Crue tunes, but you won’t find many of them in Nashville or on this collection. There’s just not enough dirt, grime or energy in most of these versions. In other words, there’s not nearly enough “outlaw” here to justify the name of the album.